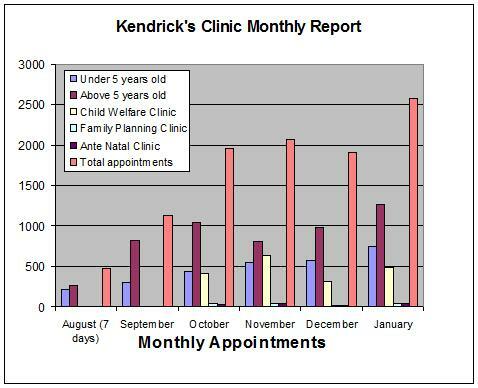 We thought you would like to see just how successful Kendrick's Clinic has become, and how hard Kennedy Ngala is having to work to satisfy demand for his services. Over 2,500 appointments were made in January 2008. That's over 80 a day - every day of the month!. Another amazing success story. This is a chart, which we'll keep up to date - showing just how valuable the clinic is to the Kadzinuni community.